Read about the 12 worst mistakes people make to bring on allergies. camera (Getty Images) Check out some of your worst allergy mistakes. intro:Allergies are the worst. 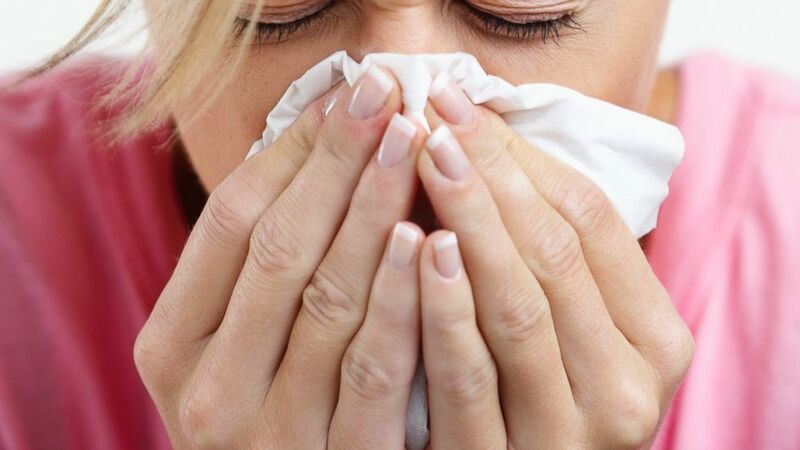 A stuffy nose, itchy eyes, coughing, and other allergy symptoms can make life a misery. Here are the 12 biggest mistakes people make when it comes to allergies, and the smart ways to avoid them. There, don't you feel better already? quicklist: 1 category:Your Worst Allergy Mistakes title: You leave windows open url: text:Make it a rule to keep your windows closed and the air conditioner on when it's pollen season. Be sure to set the AC to "recirculate," and if it's not hot outside, you can keep it in filter-only mode. Using an air conditioner in your car can cut the amount of pollen you breathe by as much as 30%, says Myngoc Nguyen, MD, chief of allergy at Kaiser Permanente Medical Center, Northern California. quicklist: 2 category:Your Worst Allergy Mistakes title: You delay medication url: text:As seasons change, plants spew pollen. So try to anticipate and treat yourself before that happens. Same goes if you know you'll be visiting a cat-loving friend, and felines are your worst symptom trigger. "These medications almost all work better to prevent allergy symptoms than they do to treat them, so people should not wait until they're having symptoms to start taking their medicines," says David Rosenstreich, MD, the director of the Division of Allergy and Immunology at Montefiore Medical Center in the Bronx, New York. Same with asthma. Don't skip controller meds until you're short of breath. "It's easier to fix the problems when they're mild." quicklist: 3 category:Your Worst Allergy Mistakes title:You ignore pollen counts url: text:"People should make an effort to be aware of the pollen count and when the pollens are out that bother them," says Dr. Rosenstreich. quicklist: 4 category:Your Worst Allergy Mistakes title:You exercise at the wrong time url: text:If you love an outdoor workout, avoid the morning or early afternoon, says Dr. Nguyen. But unless you close the doors and windows in the room where you're using one, it's basically useless because they're only meant to filter room-size areas—not your entire house, or the great outdoors. quicklist: 6 category:Your Worst Allergy Mistakes title:Your EpiPen is expired url: text:If you need to carry an EpiPen (an auotinjector) because you're at high risk of a serious allergic reaction, check every year to make sure its expiration date hasn't passed, and replace it if it has, Dr. Rosenstreich says. Be sure to learn how to use it properly, Dr. Rosenstreich advises. "You don't want to start reading the label in the middle of an attack." Finally, he adds, be aware that once the safety cap is off, the needle will inject anything it touches. quicklist: 7 category:Your Worst Allergy Mistakes title:You've got clutter url: text:Stuffed animals are cute, cuddly, and unfortunately, major magnets for dust, a common allergy trigger. quicklist: 8 category:Your Worst Allergy Mistakes title:You ignore symptoms url: text:Adults can become allergic to pets or pollen after years of allergy-free living. If you need antibiotics for sinusitis every spring, you may have a pollen allergy, says Dr. Nguyen, who recommends a visit to the allergist. "Repeated use of antibiotics is not necessary, can lead to drug allergy, and doesn't help the pollen allergy," she says. You can become allergic to a pet and not know it because symptoms are subtle and chronic. If you've got allergy-ish symptoms that never go away, get it checked out. quicklist: 9 category:Your Worst Allergy Mistakes title:You're down with down url: text:Love that cozy comforter? It might be trouble, particularly if you've had it for a long time. Feathers can be very allergenic, and become even more so as they age and break down, says Dr. Rosenstreich. "I'll have people tell me, 'I've had this feather pillow for 40 years, I brought it from Romania, it's never bothered me before,'" he adds. "That's precisely the point." Synthetic pillow stuffing, like polyester fiberfill, is a better choice for people with allergies. You can make your pillows even less sneeze-inducing by getting dust mite-proof covers for them (and while you're at it, for your mattress). quicklist:10 category:Your Worst Allergy Mistakes title:You sleep with your pet url: text:It may seem sweet to snooze with your pup or kitty at night, but it's not a great idea if you have allergies. Even if you're not allergic to animals, pets can bring in pollen, dust, mold, and other allergens from the outdoors, Dr. Rosenstreich notes. It's best to avoid letting your dog or cat hang out on your bed. "Your bedroom should essentially be an allergy-free zone," he says. For the same reason, you're better off with bare floors in the bedroom, or only using a rug or two that you can throw in the wash periodically. quicklist: 12 category:Your Worst Allergy Mistakes title:You think a bird is OK url: text:People can be allergic to birds, too, Dr. Rosenstreich warns. Allergists advise against living with an animal if you're allergic to it. If you can't or don't want to find a new home for your beloved pet, consider allergy shots, which can help reduce symptoms in some people.